Piecia is not an ordinary template available on ThemeForest marketplace. It’s tailored landing page which perfect suit for many industries. In theme author package they have included many variants to get the best result for they clients. You wont find revolution slider, many scripts, form elements, menus. It’s simple and lightweight theme but have strong sections important to landing pages. 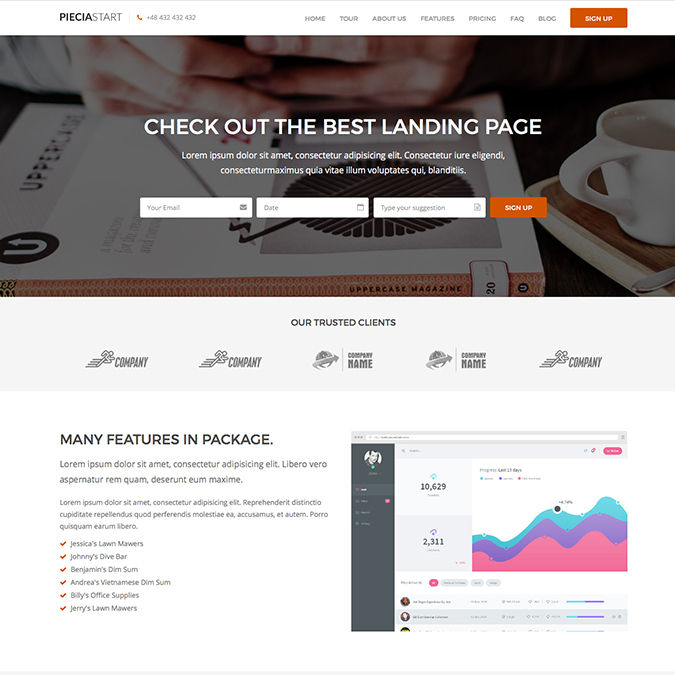 If you want a theme like landing page, the Piecia WordPress theme ideal for you.